Redefining Red | Elictia Hart | Audiobook Download - Christian audiobooks. Try us free. Facing obstacles? Feeling stuck? Transitioning into a new season of life? Let this seasoned broadcast journalist-turned-preacher help you find your poise when your red-light moments arrive. From childhood, we are trained to associate the color red with negative and even dangerous situations. To grow spiritually, however, pastor Elictia Hart insists we must redefine our responses to red situations. 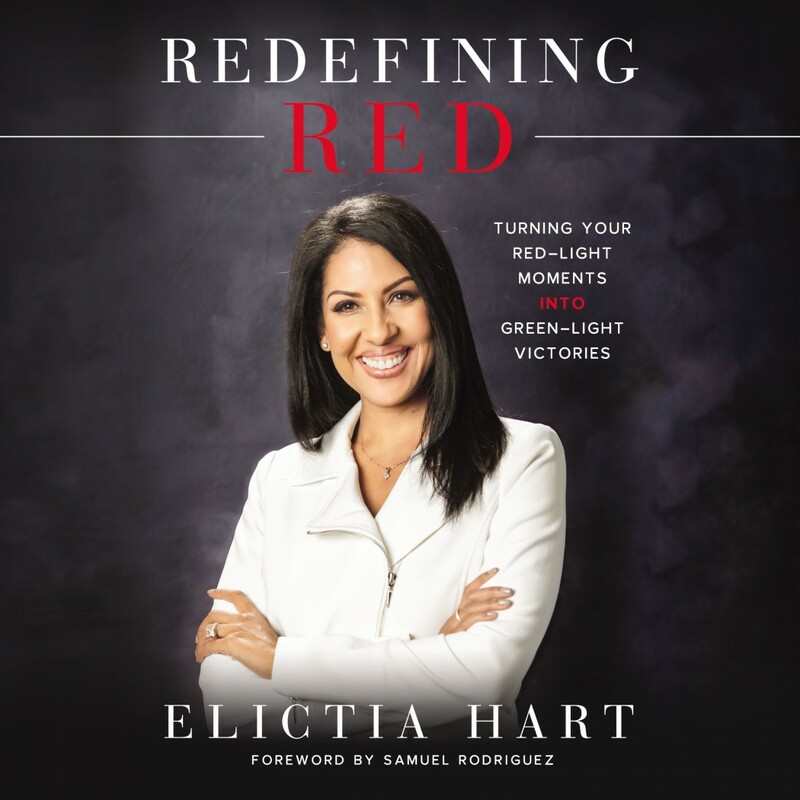 With highlights from her glamorous career as a broadcast journalist for Fox, ESPN, and Entertainment Tonight, along with a balanced look into the lives of beloved heroes in the Bible, Elictia Hart explains how our "red moments" can become "green lights" for trusting God and embracing our divine destiny. Every television reporter knows when the red light is on, you are on. Red means go. Playing off this insider phrase, Elictia Hart - now a wife, mother, and pastor - passionately shares how God transformed the red flags in her life into victorious banners for personal growth, a deeper faith, and a richer sense of her purpose for his kingdom.